This week, Nathan Irwin is talking with Zac Zetterberg from the Peoria Riverfront Museum. Their new exhibit, "Emergence: The National Arts of Central Illinois" features works by Central Illinois artists of national and international stature. He talks about how the idea for the exhibit developed, and about collaborating with artists and educators in the region to curate the show. There's also a lecture series that will run in conjunction with the exhibit. Zetterberg also talks about the sculpture "Return Visit," now on display outside the museum. A 31-foot-tall sculpture of Abraham Lincoln, holding a copy of the Gettysburg Address, is accompanied by another figure in modern dress. The piece was installed about a week ago, and will be on display through the Illinois bicentennial year. 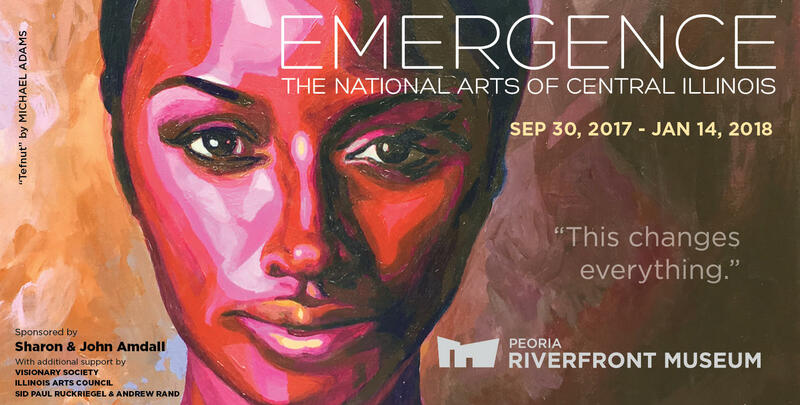 "Emergence: The National Arts of Central Illinois" will be on display September 30th through January 14th at the Peoria Riverfront Museum. Zac Zetterberg talks about a new exhibit at the Peoria Riverfront Museum, featuring artists from Central Illinois, and about the sculpture of Abraham Lincoln currently on display outside the museum. Peoria Symphony's 120th Season Opens With "Reflections"
Our guests this week are George Stelluto, conductor of the Peoria Symphony Orchestra; and Gary Roberts, President of Bradley University. The Peoria Symphony begins it's 120th season this weekend. They talk about the shared history of the orchestra and the university (which celebrates it's own 120th anniversary this year). 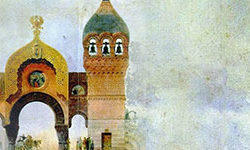 The concert recognizes other notable anniversaries, of Johannes Brahms and Leonard Bernstein.